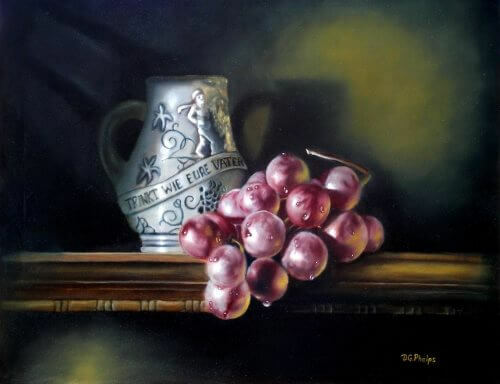 The Flemish Technique, one of the easiest and effective methods to learn and use in oil painting. The Flemish Technique or method of oil painting has been around a long time. 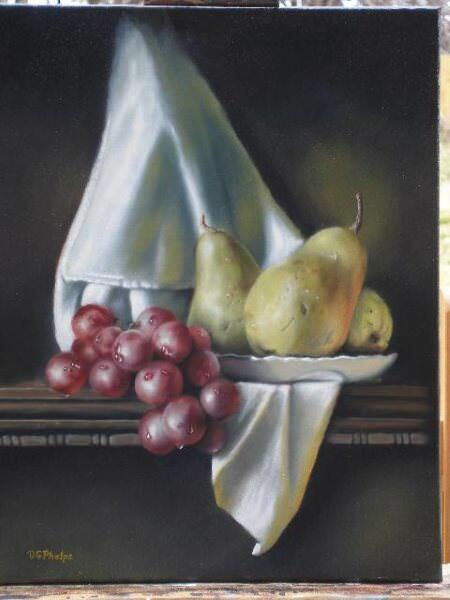 It's also my preferred method to create my floral, still life and portrait paintings. Some slight variations to the technique are used for the landscape, but just understand, this is a multi-layered, indirect method of oil painting. Take a very close look at these paintings. They are not your Bob Ross variety of work. This page of lessons will show you this step by step oil painting process that I use in most of my work. Do I change up from time to time? Sure I do, but it's to discover what is available. Invariably, I come back to the Flemish technique because it simply yields better results for me. There is a navigation box below that will keep you from getting lost. The site has grown, and this is but a small section. The box shows you where all the related articles are located for this lesson. It's a very ancient process that will make oils easy to understand. Because it is easy, it then becomes more fun. And this keeps you in the game! If you're looking for lessons that take you into the realm of a more professional looking piece of art work, then the following pages will open your eyes. It's not your 20 minute painting session and "I hope it turned out right kinda" process with a lot of "happy accidents". It is a methodical approach that breaks a complicated process down to a manageable and reliable approach. Do remember one thing. You can tweek the process. But you need to understand the fundamentals of "why" things are done firstly. Then, your "tweeking" or changing slightly the process, is understood. It may be to help speed things up, it may be you get better results doing something slightly differently. You may like a different medium or such. Other methods are discussed on the site but this page will be mostly about the Flemish or Classical Methods of oil painting. Why do I like them so much? Comparing works created 400 to 500 years ago in a major museum close to home (the Smithsonian), with works done as early as the 1950's convinced me that using the classical methods of oil painting would help the longevity of the work. It also showed me how detailed and realistic these works could be. And I like realism. Not that I don't like abstract. 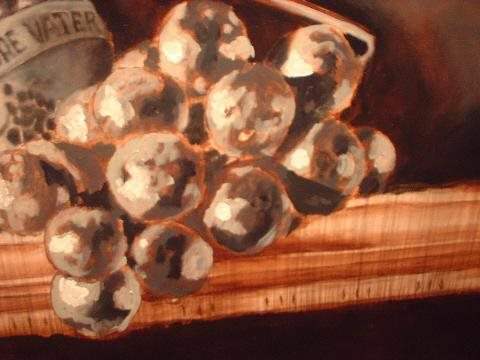 I talk about this style elsewhere on the site too, and will provide a demonstration of it also, but for now, lets stick to these painting lessons on this indirect method of oil painting. How to make a custom canvas. But, before you get started into this fantastic method, here's a quick shameless plug. This series of pages is (at least in my mind) the core of the website. From here we expand your knowledge. If you don't have internet service, or are planning a get away that takes you from reliable internet service, why not take these lessons with you on your tablet or phone? I have an ebook that gets into much greater details, over 250 photos high quality photos, and demonstrates 2 full paintings and a few more partial demonstrations, plus bonus material! Just click the picture below. It opens in a fresh window so you don't lose your place here. Read through the whole page first. Afterwards, come back to the top and click on the picture or link to the next area of interest for a more detailed description. Step 1 of the process. This is pretty standard, you have to get together all your art supplies, and prepare your painting surface. I have a list of materials you'll need to get started. It's not everything that you will need, but at least the minimum. Most artists already have most of the items. More specific items are discussed within the painting lessons. 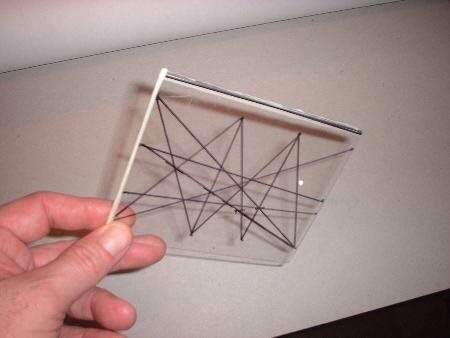 Are you gonna used stretched canvas or make your own using rolled canvas and stretcher bars stretching your own? The later will save you a little, and I show you the complete process on that page. If you've bought a super cheap canvas, read this page about some of the problems it can create for you, and how to correct them in preparing a cheap store bought canvas. Whether you decide to stretch your own or buy pre-stretched and gesso'd, you'll need to take this next step in preparing the canvas for painting on. In order to be able to easily paint fine details, you'll need to get your paint surface fairly smooth. Not glass or shiny surfaces smooth, but smooth enough to eliminate some of the weave of the material. This holds true if you're using a wooden surface like hard board or Masonite. 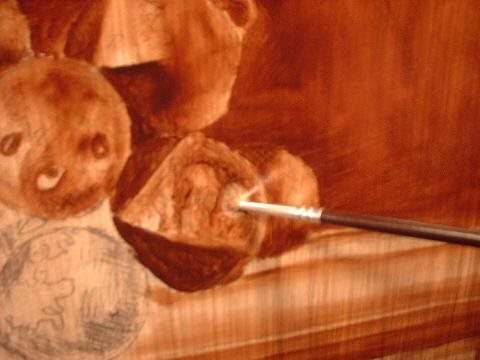 I've got a page that shows the process to prepping a wood surface here. Now that you have your paints, and your canvas, you're probably thinking about what to paint! While this is going on in your head, as you pull your flowers together, or your still life fruit, or what ever items. (I recommend some simple still life objects firstly) Then you gotta start thinking about how you're gonna arrange these things on the table or shelf. Click here to read about THE secret to arranging things correctly, its called composition in the art world. This secret goes all the way back to ancient Greece! Folks back then sure knew a thing or two about art. It's called the golden rectangle and it's full of math computations and observations from nature, and well, you get the picture. It can get complicated when it doesn't have to be! Now that you've got in mind exactly what to paint, and the material to paint it, lets move to the next step in these painting lessons: Drawing. Step 2 of the Flemish Technique. 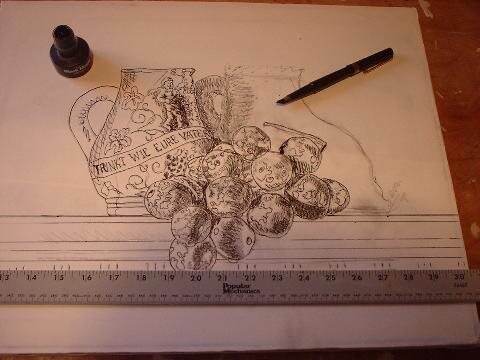 Putting your drawing, a very detailed rendering, to your painting surface. You need to somehow get what you see onto your canvas. This is called transferring your drawing to the canvas. You can do this free hand if you are able, but if you're drawing skills are slow and rusty, there are many shortcuts discussed on the drawing pages. Eventually however, you will need to improve your drawing skills, and I discuss that here too! It's called imprimatura in some circles. Most art schools simply call it toning the canvas. It is a hallmark step in the Flemish Technique. 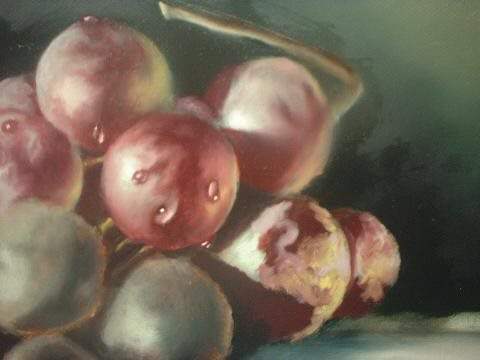 This toning does several things for you in the oil painting. But I show you a shortcut using acrylics that works wonders, and gets you to the next step in minutes. 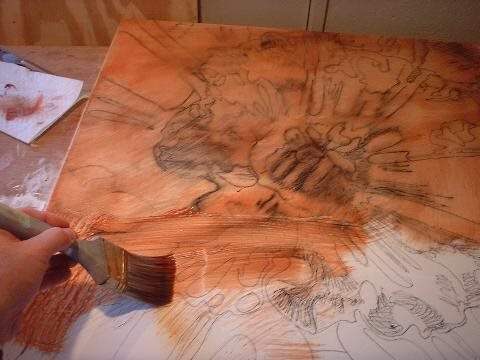 Step 4 of these oil painting lessons: The brown under painting. In this step, you're painting a monochrome brown under-painting. It will establish for you the contrast needed to make the painting stand out. This is another hallmark Flemish Technique thing. 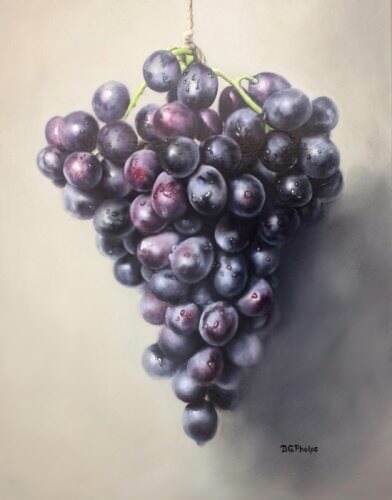 There are variations of this step that you should explore, such as the Italian Technique that uses a bit of white for highlights, and a much more detailed rendering of the work. But for now, learn this first. It's less complicated that way. The full lesson is explained on the brown under painting lesson. Step 5 is yet another under-painting, but this one in the gray tone. In this part you are setting up your mid tones. At this point, the painting will resemble a black and white photo. Again, this is a major item within the Flemish Technique. Variations exist, and further research will explain why these are done, but for now, follow this link to the dead under painting or the picture below to get more details. Step 6, starting the color layers of your masterpiece. The interesting thing about this method, each step or stage brings you closer to a finished product. Each stage in easy to work because you are concentrating only on a small portion in a bite sized chunk. That reminds me of a good friends saying, "how do you eat an elephant?" Answer: "one bite at a time!" Before you realize it, the elephant is done, and your painting is getting closer too! Step 7 of our painting lessons is finally here! 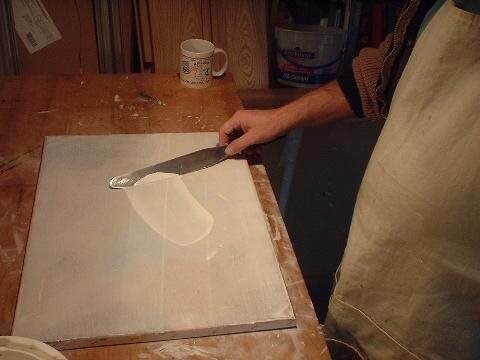 The finishing layer of your painting. This will most likely be the fastest and most dramatic part of the process. Your painting will seem to leap off the canvas! Click the link or picture to get there! The Flemish technique demonstrated in 2 full paintings! Click Me to get full details on this amazing technique. Have you tried any of the techniques discussed? Why not contribute and show what you have accomplished below! Or leave me a comment or question, I read and answer every one! Do you have a great story about this? Please share it with us. You can add photo's of your work, you can ask questions about the process. Join our community!